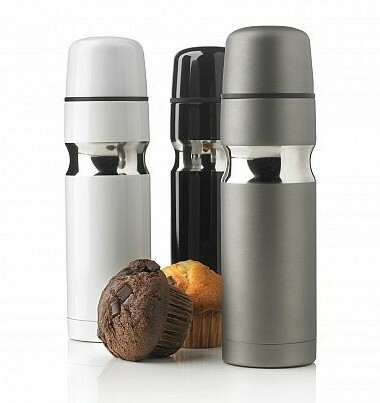 This extremely classy and functional flask will make the ideal gift. It is perfect for long car trips, taking to the office, for outdoor picnics and barbecues. Use it on a day out at the beach or keep one close when shopping. Our flask features a double wall with a vacuum in the middle, creating a innovative design that ensures that your contents remain hot for hours. 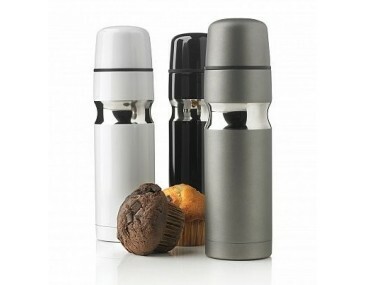 Our flask comes in a choice of a sophisticated white, grey or black. The design is slim and tall with a smooth shiny finish and sports a chrome ring trim at the waist that circles around the body. The ring is indented, curving inwards and offering a great aesthetic look as well as a non-slip hand hold. Clipped on top of the body is a lid that doubles up as a cup. You don't need to worry about carrying or finding a cup, you will always have one close by and handy when needed. The flask is great for occasions where you will have a lot of thirsty people, it can hold 500ml of liquid. We pride ourselves on a fast 2 week turnaround time from artwork approval. The listed price includes branding of your logo or graphic in a single colour print. We charge a once off print set up fee of $75 per colour per position. 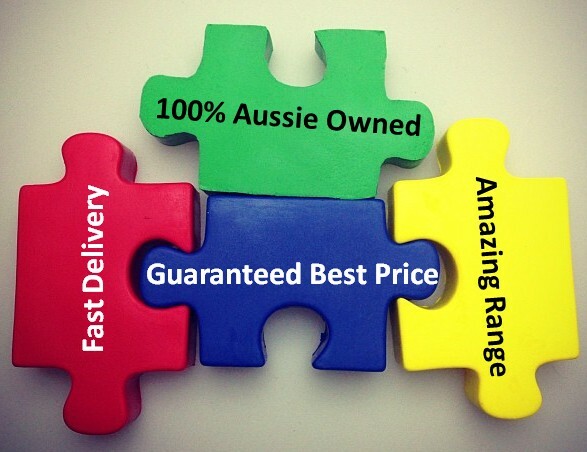 Planet Mugs delivers Australia wide including to NSW, ACT, VIC, WA, TAS, NT and QLD. Branding Options: (pad print) 50mm x 25mm. Our Vaccuum Flasks with Double Walling come in your choice of White, Grey and Black colours only.